Mike Pipkin’s wide range of experience allows him to be creative when crafting strategies and solutions for his clients. Throughout his 25+ year legal career, Mike has represented clients in complex business, surety, construction, fidelity, professional liability, and insurance litigation and trials, as well as legal analysis and counseling to businesses of all varieties. Mike’s approach is to work with his clients to determine one or more desirable outcomes, then fashion the appropriate plan to achieve success. Throughout the course of the engagement, Mike and his team keep in close contact with the client, so that they are aware of current developments, and expectations are established and managed using the latest information. 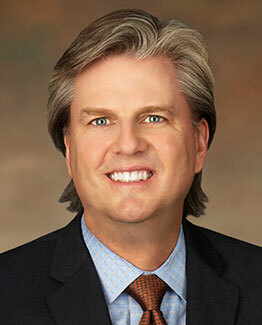 Mike is recognized nationally as a thought leader in the legal industry. Mike is a Past Chair of the ABA Tort Trial and Insurance Practice Section Fidelity and Surety Law Committee and currently serves as one of eight attorneys in the USA on the National Association of Surety Bond Producers (NASBP) Attorney Advisory Council. In 2016, Mike was elected to membership in the Federation of Defense & Corporate Counsel (FDCC), an organization comprised of leaders in the insurance and corporate defense bar. FDCC membership is selective and by invitation to those who have been judged by their peers to have achieved professional distinction. In 2017, Mike was named a Charter Fellow in the Construction Lawyers Society of America, an invitation-only construction lawyer honorary society with membership limited to 1,200 practicing Fellows from the United States and internationally. Also in 2017, Mike passed the Louisiana State Bar Examination, allowing WRP to expand its base of services beyond Texas, Oklahoma, and Arkansas. Obtained a preliminary injunction for a surety client in an action filed in the U.S. District Court for the Northern District of Texas, Dallas Division, initiated after the surety received multiple claims from subcontractors and suppliers in connection with several of the contractor’s projects on which the surety issued performance and payment bonds. Facing existing and potential losses under payment bonds written for the contractor, the surety tendered a collateral demand, pursuant to the general indemnity agreement, which was ignored by the contractor. The surety brought a motion for preliminary injunction asking the court to order the contractor to post certain collateral deemed necessary by the surety to protect itself from actual or anticipated loss. The court was convinced that the evidence demonstrated: 1) the surety was likely to succeed on the merits of its case because the indemnity agreement presented no ambiguity or element of surprise, the conditions precedent to the contractor’s obligation to post collateral were met, and the contractor raised no defense to the demand for collateral itself; and 2) the surety was likely to suffer irreparable harm from the loss of its contractual right to collateral security. The court found that the failure of the indemnitors’ response to the collateral demand supported a conclusion that the indemnitors were disposing assets or lacked an ability to pay a judgment. The court specifically noted that the harm was not monetary, but rather the loss of a right to immediate payment. The court further found the remaining two factors weighed in favor of the surety, because the contractor would not be unfairly prejudiced by being held to the terms of the indemnity agreement and that no public interest would be harmed by the issuance of the preliminary injunction. Obtained a bench verdict for his client, a surety company, in an action filed in the U.S. Bankruptcy Court for the Southern District of Texas, Houston Division. The defendant, the president and co-owner of a specialty subcontractor with projects across the South, forged the signatures of three of his relatives on an indemnity agreement issued by our client. Without the indemnity agreement, the client would not have issued surety bonds on behalf of the defendant’s business. As a result of issuing the bonds, our client suffered losses exceeding $3 million. Mike and his team first obtained a consent judgment against the defendant after he admitted to the forgery, which led to the dismissal of claims against his relatives. The defendant then filed for bankruptcy. After a four-day bench trial, the court found that the defendant committed actual fraud and ordered that the more than $3 million judgment be exempted from discharge. The U.S. Court of Appeals for the Fifth Circuit affirmed the judgment and the U.S. Supreme Court denied writ of certiorari. Obtained a take-nothing judgment out of the United States District Court for the District of Colorado, following a week-long bench trial on a payment bond claim arising out of a federal construction project. The Court concluded that the plaintiff subcontractor did not establish that it was a bona fide subcontractor under the federal Miller Act during the time in which the subject bonds were in effect, that those bonds did not cover the plaintiff’s claims because it was an alter ego and insider of the bond principal, and that the client, the surety, was not estopped from asserting the affiliated nature of the bond principal and plaintiff subcontractor. U.S. ex rel. Johnson Pugh Mechanical, Inc. v. Landmark Const. Corp., 318 F.Supp.2d 1057 (D.Colo 2004). Obtained a take-nothing summary judgment in Travis County District Court for our surety client in which the plaintiff sought to recover more than $20 million in lost profits and other consequential damages from a failed multi-unit residential construction project. Plaintiff sued, seeking damages based upon the alleged value of the property had it been completed. We successfully argued that plaintiff was limited to its actual damages under the bond and that based on the contract’s express waiver of consequential damages, plaintiff could not recover the damages it was seeking from the surety. On appeal, the Austin Court of Appeals affirmed. Obtained a complete recovery, including attorney’s fees, from a surveyor on behalf of his client, a utility subcontractor, arising from damages and additional work required because of a negligently prepared site survey on a major private construction project in Denton County. Representing a surety following the default and bankruptcy of a site subcontractor, including multiple motions and hearings in the U.S. Bankruptcy Court for the Northern District of Texas, including the timely and successful tender of projects throughout north Texas, and the defense of preference actions brought by the Chapter 7 Trustee. Representing a surety in Texas and Louisiana in the defense of claims arising from surety bonds issued in connection with offshore oil and gas projects. Assisted a general contractor in the power utility industry in north Texas in the negotiation and drafting of transactional documents for an asset purchase. Counsel in the area of commercial real estate development and construction management, including the preparation of traditional lump-sum and guaranteed maximum price contracts, construction management contracts, and agreements with contractors and architects, in addition to claims investigation and administration, resolution of lien disputes, and the pursuit and defense of construction claims of all types. Assisted a surety in the workout of a design-build contractor on multiple public and private projects, including the preparation of collateral and workout agreements, deeds of trust, subordination agreements, bond forms, asset sale agreements, and assistance in the defense of multiple payment bond claims. Representation of a surety and a similarly situated lender in litigation filed against multiple parties, arising out of the dissolution of a real estate partnership. While the clients were defendants in the litigation, the settlement following mediation resulted in the clients being the only parties to receive full and complete payment of the sums owed to them. Assisted a surety in the resolution of multiple public project defaults, including the preparation of soft funds control agreements, and negotiations with public owners, leading to the successful takeover and completion of civil construction projects throughout West Texas. Assisted a surety in the successful tender of completion contractors following a high-profile default of a renovation contractor for a major city school district. Represented a surety following the default of a national road project contractor, including multiple motions and hearings in the U.S. Bankruptcy Court for the District of Delaware, and the successful takeover and tender of projects throughout the United States. Represented a surety in affirmative claims against a school district and a property and casualty insurer, arising out of the surety’s completion of multiple school projects, resulting in successful settlements. Representation of full-service engineering, architecture, construction, environmental and consulting solutions firm in defense of claims arising out of design and construction of an airport fuel farm. Representation of industrial engineer and contractor in a contract dispute with an oil refinery owner, including the defense of claims arising out of a site explosion and pursuit of claims in bankruptcy court. Represented a fidelity insurer through weeks-long trial and post-trial briefing against multi-million-dollar claims on a financial institution bond. The matter resolved on confidential terms while dispositive post-trial motions were pending. Obtained a take-nothing summary judgment for our fidelity insurer client out of the United States District Court for the Western District of Texas, Austin Division, arising out of an employee dishonesty claim from a quasi-public entity. The Court concluded that the plaintiff had been made whole for its employee theft injury when it settled with another entity without allocating its damages, and that the insured had materially breached its insurance policy by releasing parties against which the client had subrogation rights. Obtained a take-nothing summary judgment out of the United States District Court for the Northern District of Texas, Dallas Division, on behalf of an attorney in a legal malpractice case, on the eve of trial. The Court concluded that the plaintiff failed to carry her evidentiary burden as to whether the attorney owed a duty to the plaintiff at the time the legal injury occurred, as well as to whether the attorney’s conduct proximately caused the plaintiff’s injury. Representation of professional and directors and officers liability carriers in a variety of coverage and defense matters throughout the state of Texas and the Mid-South. Repeatedly selected as a Texas Super Lawyer by Texas Monthly and Law and Politics Magazine. Editor of Bond Default Manual, 4th Edition (M. Pipkin, C. Smith, T. Vollbrecht, and B. Wilcox, eds., 2015), which formed the educational basis of the Spring Meeting of the Fidelity & Surety Law Committee of the American Bar Association’s Tort Trial and Insurance Practice Section (La Jolla, California 2015). Program Co-Chair of the Construction CLE Program at the 2014 MidWinter Meeting of the Fidelity & Surety Law Committee of the American Bar Association’s Tort Trial and Insurance Practice Section in New York City. The one-day conference, titled “What Were They Thinking? Understanding the Construction Project from the Public Owner’s Perspective,” included plenary and breakout sessions covering a variety of topics from the perspective of the public owner, including how a public owner evaluates various project delivery systems, how the public owner selects a particular contract form to use, project finance options, project insurance programs, and expectations for participation of disadvantaged business entities on state and federal projects, among others. Section Chair of the 2011 MidWinter Meeting of the Fidelity & Surety Law Committee of the American Bar Association’s Tort Trial and Insurance Practice Section in New York City. The one-day conference, titled “When The Walls Come Crumbling Down: The Critical Construction Issues Facing the Performing Surety,” focused on identifying, defining, and establishing the scope of work following default or following receipt of a performance bond claim, negotiating the contract balance and securing payment or credit following default or in resolving a performance bond claim, and calculating the principal’s time to complete and the surety’s time to complete following default. Co-Chair of the 2009 MidWinter Meeting of the Fidelity & Surety Law Committee of the American Bar Association’s Tort Trial and Insurance Practice Section in New York City. The two-day conference, titled “Public-Private Partnerships, Co-Suretyship, and Co-Insurance: Managing Risk within Joint Ventures in Construction, Surety, and Fidelity,” included presentations from national leaders on the topic, who addressed how America will confront and address overwhelming infrastructure needs in the near and long term. In addition to his role as Co-Chair, Mr. Pipkin moderated a discussion on what Public-Private Partnerships mean for America’s future with a former Under Secretary and Administrator from the US Department of Transportation, and co-authored “Public-Private Partnerships: An Overview,” published with the program’s materials. “Legal Approaches and Remedies for Lost Productivity and Disruption Claims”, co-authored with Jeff L. Ottesen, in Construction Damages: An In-Depth Analysis (C. Langfitt, B. Lee, and R. Niesley eds., 2013), presented at the MidWinter Meeting Construction Program of the Fidelity and Surety Law Committee of the American Bar Association’s Tort Trial and Insurance Practice Section (New York, New York 2013). “Types of Claims Covered,” co-authored with Nina S. McDonald and Jason Stonefeld, in The Law of Payment Bonds, 2nd Ed. (K. Lybeck, W. Lambert, and J. Sebastian eds., 2011), presented at the Spring Meeting of the Fidelity & Surety Law Committee of the American Bar Association’s Tort Trial and Insurance Practice Section (Lake Geneva, Wisconsin 2011). “The Surety’s Enforcement of its Rights to Collateral from the Principal and the Indemnitors,” co-authored with Shannon J. Briglia and David C. Olson, in The Surety’s Indemnity Agreement: Law and Practice, 2nd Ed. (M. Klinger, G. Bachrach, and T. Haley eds., 2008), presented at the Spring Meeting of the Fidelity & Surety Law Committee of the American Bar Association’s Tort Trial and Insurance Practice Section (Kansas City, Missouri 2008). “Texas,” in Payment Bond Manual (W. D. Lambert, T. R. Braggins, and J. B. Wilcox eds., 3rd Edition 2006). “Texas,” in Contractor’s State License Bonds Desk Reference (E. D. Lodgen, C. Squillace, and M. D. Herbert eds. 2006). “The Surety’s Liability for Misconduct of Co-Fiduciaries, Non-Estate Property Obtained Under Color of Office, and Fiduciaries Serving the Estate in Multiple Capacities,” in The Law of Probate Bonds (J. Frank and W. Downing eds., 2001), presented at the Annual Meeting of the Fidelity & Surety Law Committee of the American Bar Association’s Tort Trial and Insurance Practice Section (Chicago, Illinois 2001). “Recent Developments in Fidelity and Surety Law,” Lead Author, 40 Tort Trial & Insurance Practice Law Journal 447 (2005). “Discovery and Admissibility of Reserves,” Co-author, 34 Tort & Insurance Law Journal 191 (1998), presented at the Annual Meeting of the Fidelity and Surety Law Committee of the American Bar Association’s Tort and Insurance Practice Section (Toronto, Ontario, Canada 1998). “The Reptile Theory and Its Applicability to Commercial Litigation,” co-presented at the 24th Annual Pearlman Gathering (Woodinville, WA 2017). “Dispositive Motions: A Live Oral Argument Simulation,” co-presented at the MidWinter Meeting Fidelity Program of the Fidelity and Surety Law Committee of the American Bar Association’s Tort Trial and Insurance Practice Section (New Orleans, Louisiana 2017). “How Surety Bonds Compete in an Über World: Subcontract Bonds and Subcontractor Default Insurance,” co-presented at the Regional Meeting of the National Association of Surety Bond Producers (Lost Pines, Texas 2016). “Types of Payment Bond Claims Covered,” co-presented at the MidWinter Meeting Surety Program of the Fidelity and Surety Law Committee of the American Bar Association’s Tort Trial and Insurance Practice Section (New York, New York 2016). “Off the Beaten Path: The Federal Circuit Departs from Precedent in Lumbermens,” Fidelity & Surety Law Committee Newsletter 1 (Winter 2012). Insurance Claims, unpublished paper co-authored with John Sebastian, presented at the Mid Winter Meeting Construction Program of the Fidelity and Surety Law Committee of the American Bar Association’s Tort Trial and Insurance Practice Section (New York, New York 2012). “The Promise: To Do, or Not to Do,” as part of the Contract Surety Claims Panel at the Annual Meeting of the National Association of Surety Bond Producers (San Antonio, Texas 2014). Takeover and Tender, presented at the Outreach Back to Basics Contract Surety Claims Handling program of the American Bar Association Tort Trial and Insurance Practice Section Fidelity and Surety Law Committee (Seattle, Washington 2004). Surety Law Update, presented at the 29th Annual Meeting and Seminar of the Surety Claims Institute (Hot Springs, Virginia 2004). The Trial: Trying to Win, or Just Trying (unpublished paper presented at the MidWinter Meeting of the Fidelity and Surety Law Committee of the American Bar Association’s Tort Trial and Insurance Practice Section (New York, New York 2003). Rending the Veil: Discovery and Admissibility of Claim and Underwriting Files, Reinsurance Communications, and Reserves, presented at the 24th Annual Meeting and Seminar of the Surety Claims Institute (Hershey, Pennsylvania 1999). “Bank’s Perfected Security Interest in Defaulting Principal’s Personal Property has Priority over Surety’s Equitable Subrogation Interests,” Fidelity & Surety Law Committee Newsletter 8 (Spring/Summer 1998). State Bar of Texas (Construction Law Section). Abilene Christian University (B.B.A., 1986).